Acts of Justice: We are a reconciling congregation. All are welcome! Please check out our Visitor's Guide. Monday - Thursday, 8 a.m. - 12 p.m.
EPUMC is handicapped accessible, with a ramp and elevator at the Eastern Parkway parking lot. Hearing assists are available at the entrance to the sanctuary. Nursery care is offered every Sunday from 10:00 A.M. to noon. Daija's Dolls in the Press! Daija's Doll Room, sponsored by EPUMC, has recently been featured in local media: an article in the Daily Gazette and a spot on the Channel 10 news. Congratulations to Ann Jackson and all the volunteers for making this wonderful outreach ministry possible. Our church T-shirts will be on sale before and after worship on Sunday, April 28. We will be inviting volunteers to wear them for the church rummage sale on May 4. Prices range from $10 to $17. Please contact Trish Roeser if you want one but won't be there that Sunday. Mark your calendars and start rounding up those treasures that you really can stand to part with. The 50th Annual EPUMC Rummage Sale will take place on Saturday, May 4th, 9 a.m. to 1 p.m., with the bag sale from 1:00 to 2:00 p.m. Donations of good, clean, working-order items may be brought to church after the Easter Sunday service. Place them outside fellowship hall under the coat racks or on the shelves. Help is needed to set up tables on the prior Wednesday at 6:30 p.m.; to set out the donations on Wednesday, Thursday, and Friday; and to box up leftovers at 2:00 p.m. on Saturday. You can also help by spreading the word on social media and by posting flyers where you work and shop. Flyers are available in the narthex. If you have questions, contact Judy Tomisman. EPUMC continues its long and proud tradition of supporting the Schenectady CROP Walk to raise money for local and international hunger relief. The three-mile walk through downtown Schenectady will take place on Sunday, May 5 starting at 2:00 p.m. from Emmanuel Friedens Church on Nott Terrace. The pre-walk ceremony begins at 1:20 p.m. If you would like to walk or donate to support another EPUMC walker, click here or see David Orr. The next gathering of Schenectady area Reconciliing Congregations in response to the 2019 General Conference will be on Tuesday, May 7 at 6:00 p.m. at Scotia UMC, 201 North Ten Broeck Street in Scotia. All are invited. EPUMC will be hosting a booth at this year's Niska Day festivities on Saturday, May 18 to let the community know what our congregation has to offer. We need people to tend the booth. Time slots have been broken down into two-hour shifts. Sign up at church. Thank you! We started something pretty exciting in Daija’s Doll Room last month! With the blessing of Church Council, we are now partnering with Niskayuna High School, providing a volunteer opportunity for young adults with disabilities. Two young ladies (with a school district staff person) came to “try it out” at the end of February and stayed! We are hosting their third visit tomorrow with the help of church volunteer hosts. We would like to have 4-5 people who could host for an hour and a half once a month. That will allow us to increase the ladies' volunteer time from once or twice a month to weekly. The days have varied but it looks like we are settling in on Mondays or Wednesdays from 12:00 to 1:30 p.m. If you have an hour and a half to spend with these young ladies you will love it! We talk and joke and laugh and actually get some doll work done! Contact me at DaijasDoll@gmail.com with any questions and especially if you want to try it out. Brochures and application forms for Skye Farm and the other summer camps in the Upper New York conference are available in the narthex or here. There is a 15% discount for campers who register before May 1. We have a new Google Prayer Group! This format allows everyone to add a prayer request, updates to prayer requests, and celebrations at any time. Group members can also reply with comments and support to prayer requests and celebrations, making it a true prayer community. 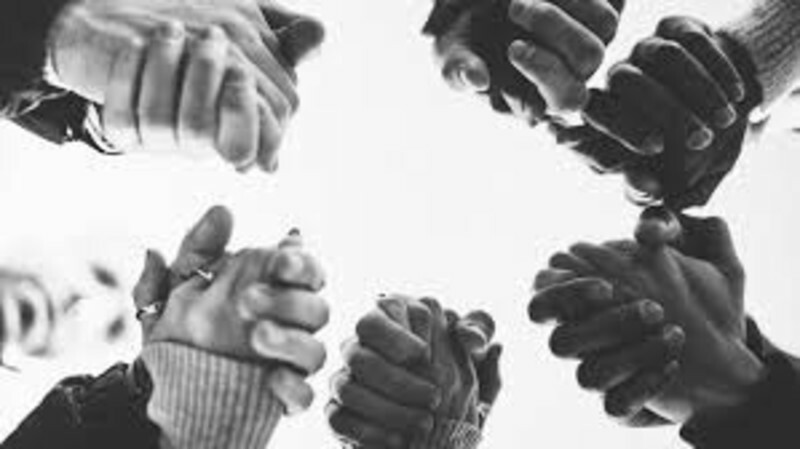 If you would like to be a part of this online prayer chain, please email the office at epumc943@gmail.com and we will be happy to add you. Each Thursday at noon we will read, from the church altar, the names of persons for whom prayer has been requested by members of our church family. A prayer box has been placed in the rear of the sanctuary. It will be there throughout the year. Please write the names of persons you wish to be spoken during the noon prayer on Thursday. This may be someone in our church family or someone you know personally. You may also place your name. Be certain that the person would wish for his or her name be spoken in public. Do not list the reason. You know and God knows. This is not a service. You do not need to attend, even if you have placed a name in the box, yet anyone is invited to attend to hear the reading of the names. There is a sign-up sheet for volunteers who wish to read names. Everything will be written down for you. Mark will read on the first Thursday of each month. He will also fill, or find someone to fill, open dates. We want to be a community that unceasingly speaks of and to the needs of others. We are looking for folks who would like to lead this part of our service. You can tell a story, read a book, sing a song . . . whatever you are felt led to share with our precious children. There is a sign-up sheet in the hallway. Lisa Vroman, lyric soprano, will present a vocal recital of songs ranging from Classics to Broadway at the First United Methodist Church, 603 State Street, Schenectady, on Sunday May 5th, at 3:00 p.m. On stage and in concert, Ms. Vroman is considered to be one of America's most versatile voices. She has held the lead in many musicals and light operas throughout the country, most notably as Christine in Phantom of the Opera, which she did over an eight-year period of time on Broadway and in Los Angeles and San Francisco. She has won many awards and honors for her music, including singing for several of the nation’s presidents, for the Queen of England, and at a Profiles in Courage Award dinner in Boston. She has sung abroad as well as in the United State, and recently performed with the Hong Kong Philharmonic, l'Opéra de Rennes in France, and on a multi-city tour in China. In addition to her singing, she is a mentor and clinician with many colleges and universities and teaches at the Institute for American Music Theatre in New York City. The concert, given as a gift to the community, is the third and final one of the church’s 2018-2019 Concert Series and is offered without charge to the public. Everyone is welcome to attend. For more information, call the church office at 518-374-4403. 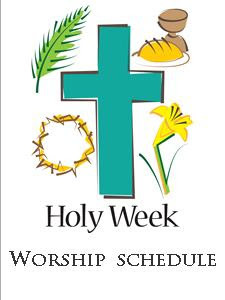 Calvary, Newtonville and Pine Grove United Methodist Churches will gather at 7pm Good Friday for a joint service, this year at Pine Grove UMC. The "Stations of the Cross" will be the focus via a multi media presentation and a joint Choir anthem will be offered. Good Friday, the day when we commemorate the crucifixion and death of Jesus Christ, is an important event in Christianity as it represents the sacrifices and suffering in Jesus' life. Our Good Friday Prayer Vigil offers a time to come and go at your convenience anytime between the hours of 6:00 AM and 6:30 PM. Meditate and spend some time in quiet prayer in our Sanctuary. Some devotional materials are also displayed. Spend as little or as long as you would like. All are invited and welcomed to attend. Look for us on Facebook at "Rotterdam United Methodist Church" and click "Like" at the top of the page. Do you ever wonder what God sees in you? We so often rely on what the world tells us about ourselves, but it is God who sees what lies deep within. We have each struggled with that question once or twice in our lives, and what we have discovered we would like to share with you. Join us for a day set apart to uncover some of the ways in which you are God's chosen daughters - finding your sense of self through God's Word. Pastors Deb Peacock, Kim Krause and Karyl Hopp invite you to join them on Saturday, 18 May 2019 for a day of discovery at Pawling Ave. U.M.C., 520 Pawling Ave., Troy. We will begin gathering at 8 a.m. for registration. A light breakfast and a delicious lunch, snacks, dessert and beverages and materials - everything you need for this time - will be provided for you. The program will begin at 9 and conclude at 3. The cost for the day is $20, payable to PAUMC, and one feminine hygiene product to be donated to Hope 7 Food Pantry. Please, dress comfortably! If you have any dietary restrictions, please let us know so that we can meet your needs. If you have a favorite snack you would like at the table, please bring it with you. We will have coffee, tea and water to drink. Also, please bring a photo of something, some place or someone that brings you great joy. To reserve your spot, please call 518-273-6859 by May 4, 2019. Leave a message and we'll call you back to confirm. We can't wait to see you there!! 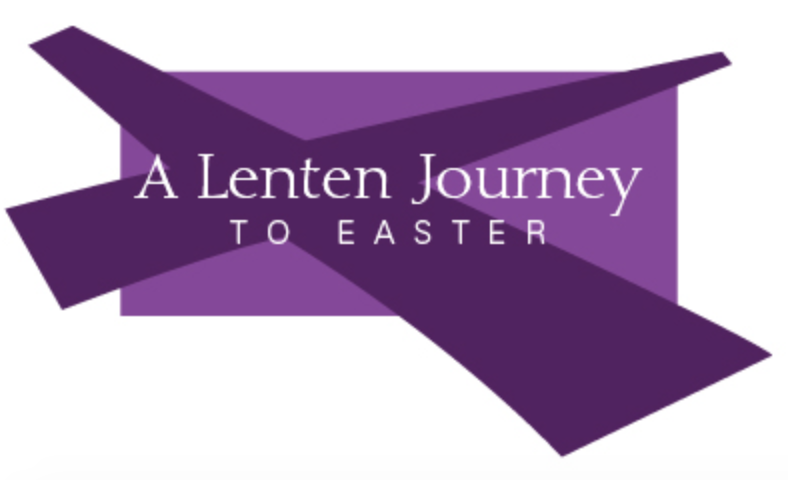 Our 40 day Lenten Journey - Early Morning Prayer Service begins on March 6th at Jonesville United Methodist Church, 963 Main Street, Clifton Park, NY 12065. Pastor Youngjae will be leading this early morning prayer service at 6 am, Monday through Saturday during Lent. You are all invited to join us in song, scripture and prayer to begin your day. As a proud member of the Reconciling Ministries Network of the United Methodist Church, EPUMC affirms the sacred worth of persons of all sexual orientations and gender identities and welcomes them into full participation in the fellowship, membership, ministries, and leadership of the congregation.